Though veteran electronic musician Phillip B. Klingler (PBK) and fingers in just about everything guy Jim O’Rourke have been in contact since 1989 and periodically plotted a collaboration, it took until 2014 for it to occur and the result is this 2-LP set of four side long excursions. Fasten yer seatbelts and prepare for liftoff because we’re blasting off into space! The Turning Night opens the set with PBK and O’Rourke combining classic floating space electronica, drones, pulsations, oscillations, and myriad effects to create a space journey meets sound expedition experience. There are elements of early Tangerine Dream, K/Cluster and other electronic pioneers on the one hand, but also experimental sound sculpture, though it’s all within a bowels of the spacecraft, soundtrack for your sci-fi trip setting. The music alternates between busily and intensely harried and more soundscape/ambient, with these quieter moments being laser focused on specific sounds. It’s very well recorded and mixed. Myths In Translation starts off a bit more aggressively harsh but quickly transitions to a subtly trippy parade of effects. I felt like I was drifting through some dark alien forest as the sundry bleeps, chirps and buzzes of the inhabitants make their presence known. But soon a swirling ambience starts to build in volume and intensity, distorting the mental imagery as nature and the cosmos morph and melt into one another. Later things calm and we’re back in a quieter sound effects realm, though along with the space ambience we also hear more earthly/human sounds, like someone puttering in their workshop, before the engines rev and we’re catapulted into a high intensity and somewhat dense noise and effects dirge. Quite an array of moods and emotions on this one. End Of The Landscape begins with a whimsical swarm of electronic static and effects that’s like a strangely rhythmic combination of shortwave surfing and robotic insect throng. After several minutes, multiple layers of almost orchestral howls and sound waves join in, along with other miscellaneous blasts of sound, creating a symphony of cosmic noise. But the music doesn’t get overly harsh. It really is like an experimental sound and noise symphony, especially given that each of the many components occupies an audibly distinct place in the sonic milieu. There are moments on Long Lain In The Stream that are among the most musical of the set. A few minutes in I felt like I was on the high seas of space with a fog horn blaring, but as the intensity fades a pleasant melody tinkles along an ambient drift. Later there’s a dreamy segment with pulsating drones and rolling static plus a sparse melody that sounds like might be guitar produced. But things don’t stay dreamy for long as hair raising, high pitched blasts take over, though amidst the chaos there’s a Space-Prog synth melody that provides a calming counterpoint to the threatening sensory attack. A very cool and creatively confusing combination of song and experimental sound exploration. 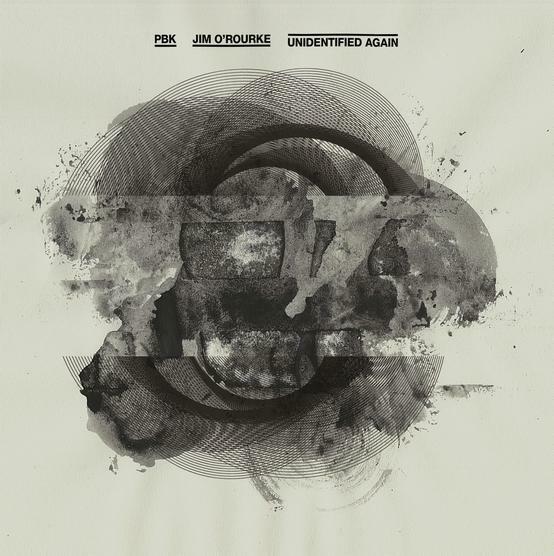 In summary, Unidentified Again is a challenging yet accessible blend of space excursion and experimental sound assemblage. There is a LOT happening here, making for a busy but by no means overdone listening experience, which means that there is a lot to digest and new treasures reveal themselves upon repeated listens. Put on the headphones, surrender, and enjoy all the fun imagery the music conjures up.